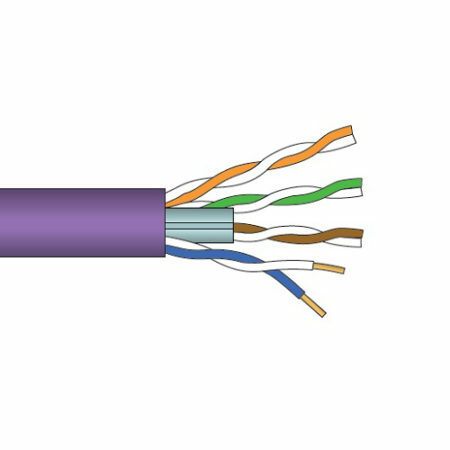 Combow Cat6 Solid U/UTP LSZH Violet LAN Cable is a CPR Compliant, Euroclass Eca, Four Pair Unshielded cable designed to support Gigabit Ethernet applications. This solid copper conductor Category 6 LAN cable is suitable for Primary (Campus), Secondary (Riser) and Tertiary (Horizontal) installations and is compatible with all known EN50173-1 connection systems. 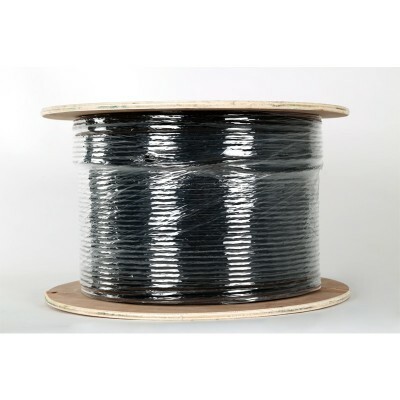 The cable is supplied in Reelex® boxes of 305 metres with metre marking on the Low Smoke Zero Halogen outer sheath and a usage grid on the box to assist in managing wastage. See box label for starting metre mark. 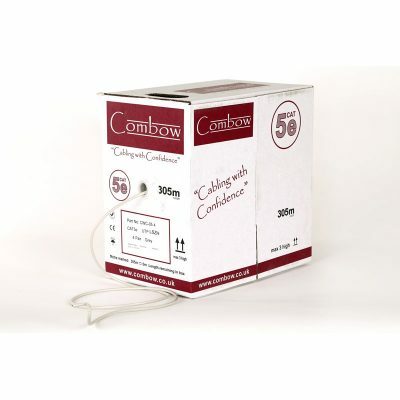 The Combow range of Cat6 data cables also includes a PVC/PVC Black External LAN cable on 500 metre reels. 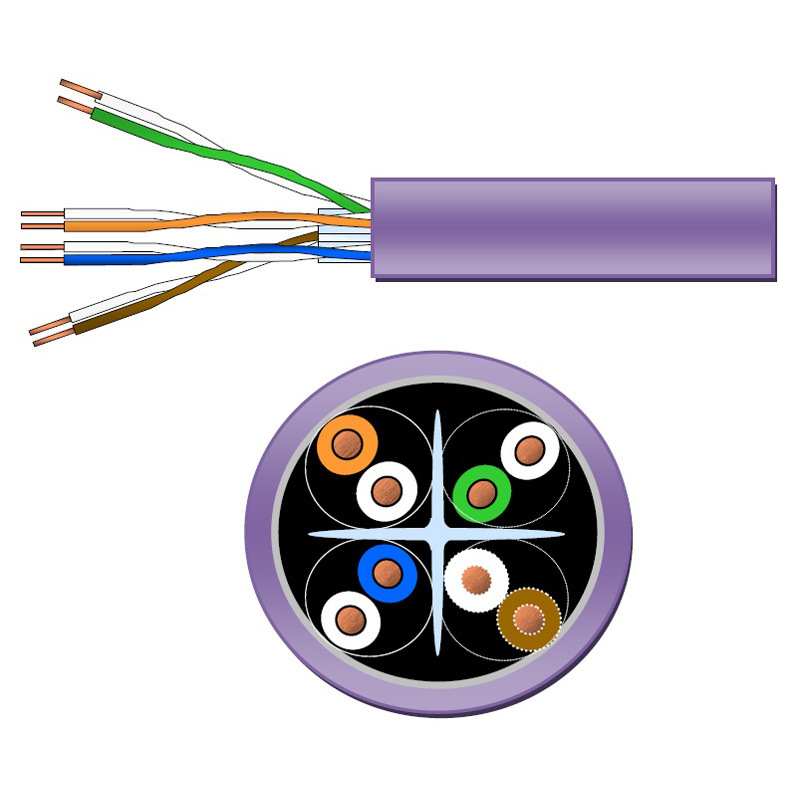 Combow Cat6 Solid U/UTP LSZH Violet LAN Cable is a CPR Compliant, Euroclass Eca, four twisted pair, unshielded cable designed to support Gigabit Ethernet applications. The cable is supplied in Reelex® boxes of 305 metres with metre marking on the Low Smoke Zero Halogen outer sheath and a usage grid on the box to assist in managing wastage. This solid copper conductor Category 6 LAN cable is suitable for Primary (Campus), Secondary (Riser) and Tertiary (Horizontal) installations and is compatible with all known EN50173-1 connection systems. 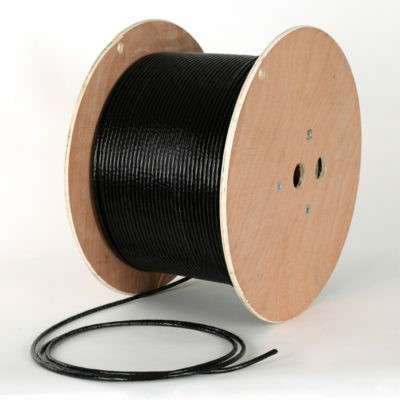 A Euroclass Fca PE Black sheath cable is also available for External use only. 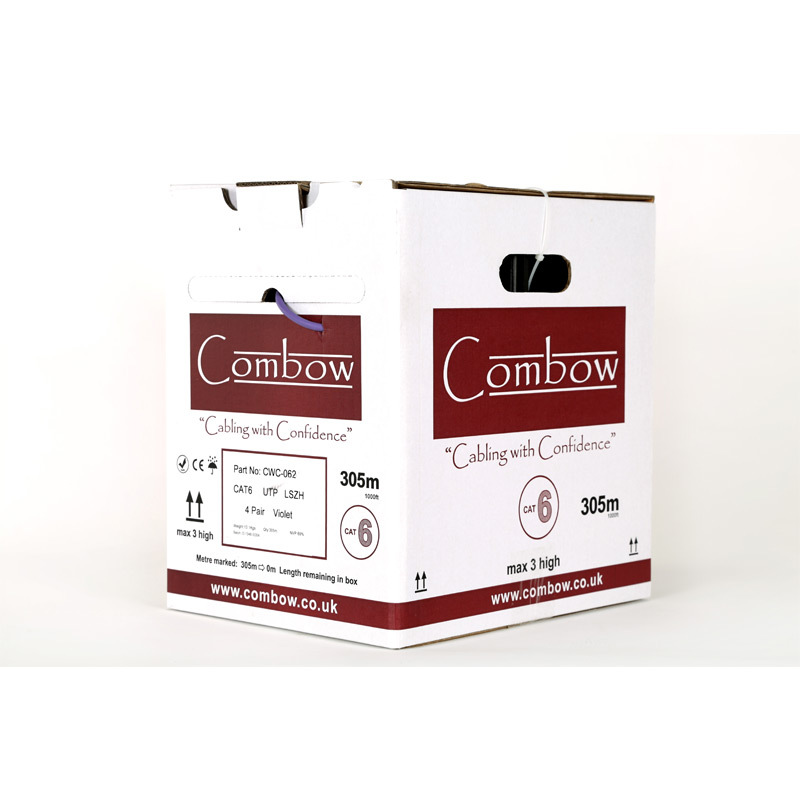 All Combow Cat6 cables can be supplied in shorter lengths on reels of 100 metres. The cable construction comprises of 8 colour coded, polyethylene insulated conductors formed in four twisted pairs of varying lay lengths, with two cores to each pair. The pairs are then formed around a central ‘X’ shaped non-metallic cross separator or spline. The solid copper conductor is a minimum of Nom. 0.54mm and the outer diameter of the sheath is 5.3mm. The NVP is 0.67 (67%) and the box weight is 10.9Kgs.